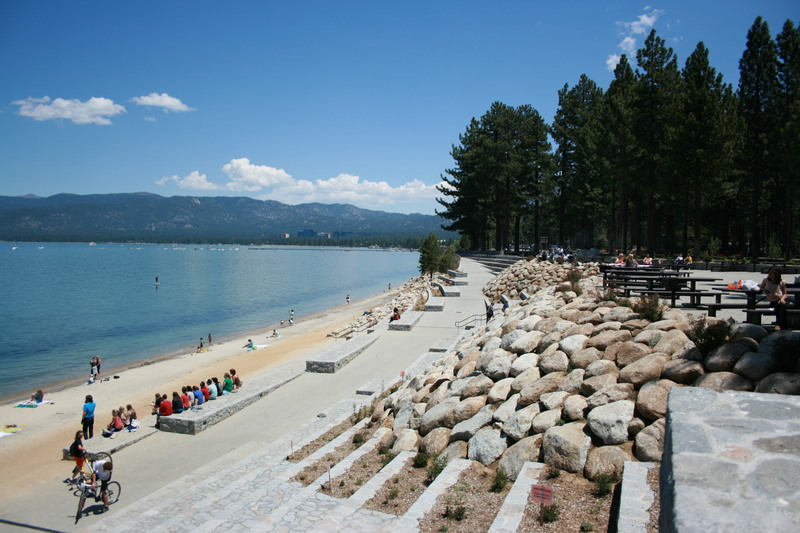 Lake Forest Beach Park, offering an incredible view of the lake, is located at the end of Bristlecone Avenue in Lake Forest. Lake Forest Beach Park is a popular spot for swimming, sightseeing, bird watching, horseshoes, picnicking and wind surfing. Limited parking is available. The nearest shoreline area that has a dog friendly area is Regan Beach, just down the road.